Join us on a trip down memory lane and look at the evolution of the handheld console through the retro years, generation one to five (anything beyond that is not really retro…..yet). But let’s make it a bit more interesting and do it in gifs so you can see the games in all their glory. 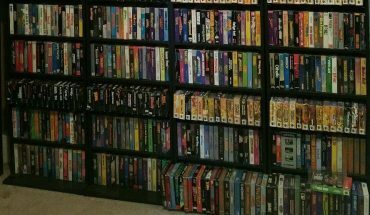 I can’t believe this guy has collected all of these! How many do you remember, and are there any entries here that surprise you? 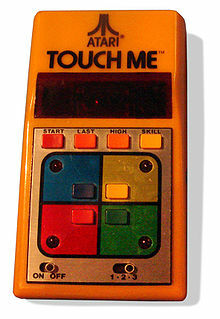 Mattel Electronics brought us the first handheld game in the form of Auto Race. This consisted of a tiny little screen on the right and you basically had to make your dot avoid all the other moving dots that scrolled down the screen. You could change gears to make the race slower or faster. This really was the handheld Gran Turismo of its time! This is the game that most enthusiasts usually think of as the first. It might not the first but it did sell well. So well in fact with its retro following too, that new versions were released in 2001 and 2015 changing very little from the original game. Still an LED screen too. Some might dispute this entry, but it has to be in there. This was the 1978 handheld release of Atari’s 1974 arcade game that inspired ‘simon says’, All those flashing lights used to get you so frustrated trying to memorise and copy the sequence. Another first gen LED game was Entex’s Space Invader. The screen however was a bit more advanced than the earlier games, using underlays to create space ship shapes out of the light. Some genius should have made a fortune out of that. Space Invader 2 is the perfect example of an early VFD handheld game. The illuminated screen was a game changer quite literally! The Microvision, released in 1979 was the first handheld ‘console’ that would accept interchangeable cartridges. The game displayed here is Blockbuster. Each cartridge came with its own microprocessor built in that did all the hard work. The console was really just a glorified screen and controller. Now these are the first handheld games that I remember from childhood. 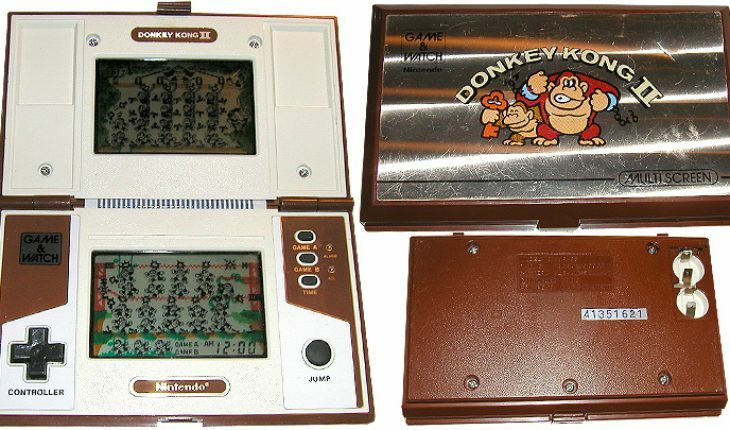 There were 47 games released in the line as early as 1980, but the first that I remember was the dual screen Donkey Kong pictured here. This is when school started to go downhill for me with this beast hiding in my school bag. 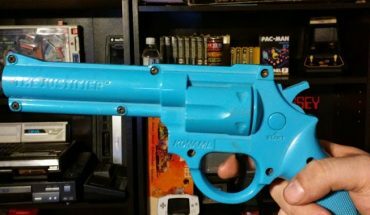 This is probably one of the strangest cartridge handhelds, in that the screen for each game, such as React Attack pictured here, was actually build into the cartridge itself. How wasteful we were in the 1980’s. Palmtex released this Super Micro in 1983, with two d-pads to accommodate lefties and righties. It’s unlikely that most of you had a shot of one of these, they are very rare. Tiger entered the game in 1985 with handhelds that were really a copy of the Game & Watch style design. Someone somewhere must have known that Nintendo were a safe bet to try and emulate. Handheld Double Dragon, now your talking. Tiger however, didn’t really evolve past LCD handhelds. This era was the golden age for handheld consoles. It is where the doors to variety opened, with many different companies taking different approaches in design, screen type and functionality. Lots of competitors came into the market in this era, and many left just as quickly as they came in. This little-known number was released in 1984, but to little success. The game here Astro Bomber, looks remarkably like the Sinclair ZX81 classic ‘Scramble’ that you were given a guide for to write yourself. The LCD screen could display three shades of Gray, which while one less than the Gameboy, preceded the latter by 5 years. Did this console deserve more success? When Gameboy was released in 1989, I wonder if even Nintendo imagined it would enjoy the success it has experienced over the last 28 years. Gameboy was the first mainstream handheld console. 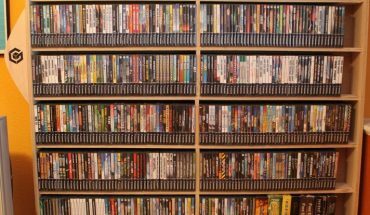 With an armada of games, small size and price it was what all the machines before it were striving to become. Only better. The game here Jurassic Park, shows the green screen background that any gamer of the era will be familiar with. Don’t get me wrong, there were machines out there that had better graphics, better design or colour screens, but none were the complete package like the Gameboy. Some might argue that this should be the end of the list, as Nintendo gained a grip over the handheld market that would see most others fade away into oblivion. But that wouldn’t be fair, there were some great machines out there and it was far from a one-horse race at this stage. The Atari Lynx is the handheld that should have floored the Gameboy. Starting it’s life back in 1986 in the hands of a company called Epyx and known as the ‘Handy Game’ (is it any coincidence that the most popular Lynx emulator is called handy?) and originally designed by two former Amiga designers. Amiga, for those that don’t know, were one of Atari’s main rivals in personal computers, more so in Europe. Atari, hard balled Epyx out the way to sign over the rights and rebranded the Handy as the Lynx. It had an ambidextrous design as you could flip the screen, it was colour and the power, wow. This was a 16-bit handheld capable of populating 16000 pixels. For 1989 this was epic. The game shown here is Blue Lightning, Atari’s undeniably similar take of the classic Afterburner. It should have wiped the floor with the Gameboy but it was let down by poor battery life and a higher price. Also, fewer game developers supported it and that in turn wrote the story for Atari. I remember the hype before this little beast was released. Waiting with bated for what was essentially a handheld version of the Sega Master System. It should be noted that the Game Gear was the only handheld of this generation that stood up to the colossus of the Nintendo Gameboy. Following its U.S. release in 1990 it was a success, even though it sold only a fraction of consoles compared to the Gameboy. With games like Streets of Rage in its catalogue that really should come as no surprise. It had a backlit colour LCD screen and it even had an add-on that turned it into a portable colour TV. What kind of witchcraft is this!? Although smaller than the Lynx and with a much larger game catalogue, it still ate through power like a dog in a butcher shop. Gamate, aka Super Boy was brought to us by Bit Corporation, who years earlier in 1982 were founded to develop the Atari 2600. It looks scarily like a knock off Gameboy as you can see in Brick Blaster here, and you wouldn’t be mad for thinking that it was, given that Bit Corporation were known for making clone consoles that played cross platform games. However, the Gamemate did actually play its own games, of which there were around 70. The console was not a success and disappeared with Bit Corp not very long after it’s arrival in 1992. In 1990 or there abouts, German Company Hartung brought the Game Master to the third gen handheld table but you might know it under another name. The handheld was licenced out to a variety of other companies so appeared in many guises. Not so sure why anyone bought the licence as with its 64×64 LCD black and white screen, the games, including Dungeon Adventure shown above were not really that attractive and it really wasn’t keeping up with the times. The Supervision was relatively successful, at least as far as the obscure brands go. It had a Gameboy-esque screen, only quite a bit bigger. The screen angle was also bendable which was pretty unique, and a dock that would allow you to connect the handheld through a TV. The game catalogue was relatively good with titles such as Super Block shown here, and the entry price was pretty low in comparison to the competition. It had a fair few unique selling points and probably performed better than most give it credit for. Bandai were well known in the early days of game consoles, in fact market leaders at one point. But their first handheld console the Design Master, released in 1995 is actually very rare. It didn’t come with a controller as such, but it did come with a stylus and a touch screen and this was a first. This was a prime example of a pioneer thinking outside the box. It’s a wonder why the handheld never had a wider appeal, with access to Capcom game licences for titles such as Street Fighter and Mega Man (shown here under its alternative name Rocket Man) – should these guys have put up a better fight against the big boys? Then again, it might be a bit hard to play Street Fighter with a stylus. An alarmingly late entry to the third generation handheld market is the GameKing, released in 2003. There were several redesigns, first trying to look like Gameboy, then PSP but why they were focussing on cosmetics when its what’s on the inside that counts escapes me. The games, like this Mine Battle hark back to very early handheld consoles. Poor show GameKing, poor show. Now this was a beast when it was released in 1995. It was powerful and it was more advanced than any other handheld on the market at the time. What you had in your hands was nothing less than a portable Sega Genesis with a large games catalogue such as Strider, the game shown above, at your beck and call. Epic. Tigers fourth gen handheld, the Game.com was truly a new breed when compared to their older entries to the market. But it wasn’t good. It brought s 3D games, a built in modem and we browser, but it wasn’t good. It had built in PDA features and a touchscreen, but it wasn’t good. Why with all these cool next gen features wasn’t it any good I hear you ask? Because only Tiger made games for it and the games were shockingly poor, to the point that some were just unplayable, like Sonic Jam shown here. An absolute abomination. In 1998 Nintendo released the Gameboy Color. Now, it might look like a Gameboy, but it did come with about twice the power under the hood and you can see that with Donkey Kong Country in the image. For a handheld with a color screen, Nintendo also brought us the first model that provided an appealing battery life, lasting more than double that of the Game Gear or Lynx that came before it. Nintendo waited, they took their time and got it right before release. I remember looking at Neo Geo when I was a kid and thinking, yeah it looks good, I’d buy it if it was like a tenth of the price!! Then in 1998, the 16-bit Neo Geo Pocket was released (in Japan), which eventually lead to the worldwide release a year later in 1999 of the Neo Geo Pocket Color. I would have been gutted if I’d bought the first version only to see a new color version come out a year later. That being said, the Neo Geo Pocket had a two figure price tag and an awesome range of games. Sega were making games for it, such as Sonic Pocket Adventure shown here, and it even hooked up to the Dreamcast. It should have competed well and had it come about two years earlier maybe SNK would have stood a chance against Nintendo. But it didn’t and they didn’t and in 2001 they closed their doors. What is it with some of these names. Really, WonderSwan? This little number came out in 1999 but it didn’t get a global release. It did have a lot of success in Japan, including a lot of support form Square who made versions of several of their Final Fantasy game series for the device. It had extraordinary battery life, running on one AA for up to 20 hours. But after several redesigns and much tinkering the WonderSwan was discontinued, unable to compete with Nintendo who by this point had Monopoly on handheld gaming. Nintendo launched the 5th generation of handheld consoles with the GameBoy Advance in 2001, later the GBA SP which had a light and folded shut. In fact over the next four years there were several tweaks and versions released but by this stage there were few competitors left in the handheld market. Considering how many developers are making games for the Smartphone market now, it might come as a surprise that Nokia’s hybrid phone/handheld console didn’t really succeed. The N-Gage was released in 2003 but it was expensive and the games were hard to develop. The idea of merging a handheld console and phone was revolutionary and the smartphone has certainly had many victories in this regard. Nokia had a great idea, just went about it the wrong way. Perhaps ahead of their time with that one. That’s it. It wasn’t until the sixth generation that Sony started venturing into the handheld market. By the fifth generation you really could count the number of competitors on one hand, with three fingers missing. Computer Technology has evolved at an alarming pace. You can’t help but think that gaming and gamers have played a large part in driving that evolution. Companies striving to outdo each other to have the best graphics and the best gameplay, some like Atari falling along the way. In the last 45 years, since the release of the first home consoles such as the Magnavox Odyssey, there have been 8 generations of console, 5 of those 8 have occurred in the last 20 years. The evolution is accelerating and each generation is distinct and greatly advanced (for the time) to the last. At the centre of this evolution, handheld consoles have always there, but what does the future have in store for handheld now that games and game design looking more and more toward the smartphone?